The amount collected by credit card is: 1 Bedroom apt 200€, 2 Bedroom apt 250€. Please note it is compulsory toarrange a timeto collect the keys to your apartment. We kindly ask you to contact usat least 24 hours prior to the check-in date. 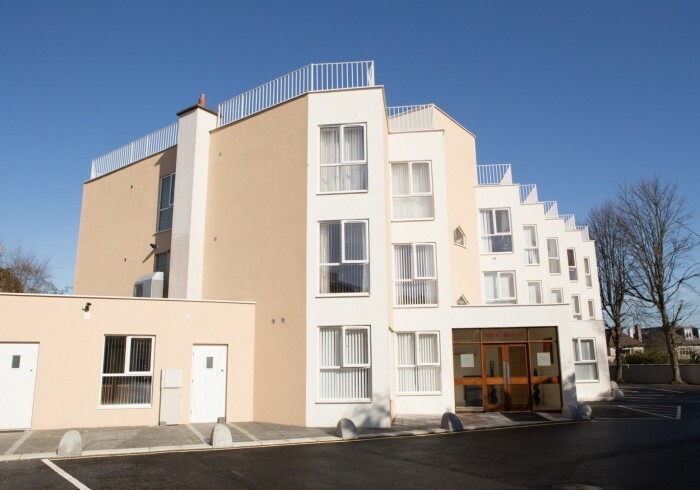 Located on Nutley Lane in the leafy residential Dublin 4, with 24 luxury one-bedroom self-catering 4 star suites, Broc House is the ideal base for your business or leisure break All suites are furnished to a high quality standard, providing all the home-from-home comforts you will need. Each suite has a well-equipped kitchen with fridge, freezer, washing machine, dryer, cooker, oven and microwave. All utensils including crockery, cutlery, pots & pans, hairdryer, iron and ironing board are provided. Broc House suites feature a spacious open-plan kitchen/dining and living room, a generous bed-room with king-size bed and a luxury bathroom. The lounge area contains a comfortable couch and armchair, coffee table, sideboard and 32″ LCD television with 18 cable channels. DVD players and DVDs are available on request. High speed wired and wireless internet is provided free of charge in all apartments. All bedrooms have a king-size quality bed, large wardrobe and chest of drawers/dressing table. The modern bathrooms have a combined bath and power shower. Bed linen and towels are provided and are changed weekly/daily (extra charge for daily service). There is a large rooftop patio for communal use, which offers some of the best (and free!) panoramic views of the Dublin city skyline and the surrounding countryside. Private parking is included and additional storage lockers (for larger items like golf clubs and suitcases) are available on request. Special business/corporate rates are also available for longer stays.